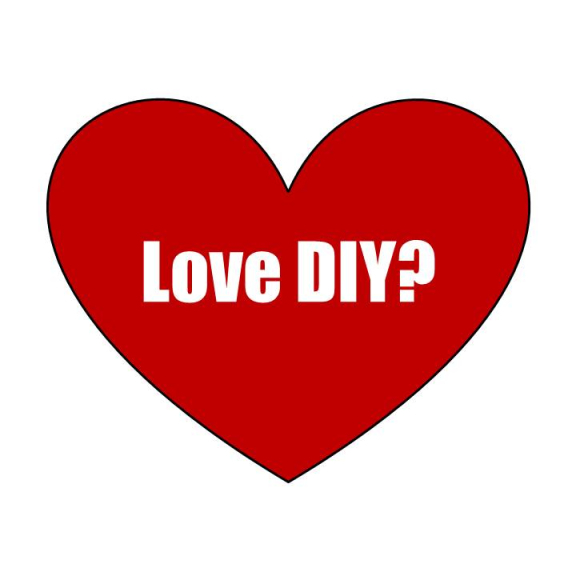 For the love of DIY? The late May bank holiday is perhaps my favourite bank holiday of the year. It comes the week after my birthday, it used to be combined with what used to be known as “Whit week”, now I guess if it's called anything, it’s simply called “half term”. As a child this was always my first camping trip of the season – typically a week off for my parents as I went off with a local kids camping group. As an adult (without kids yet) I’ve pushed against travelling either end of a Bank holiday, seeking to leave the roads clear for people who “have to” travel in school holidays. I guess that by default over the years, I’d joined the “Very British Tradition” of doing household DIY chores & gardening during my “extra day”. I very much enjoy the 'act' of gardening as much as I enjoy looking at the 'result' over a glass of wine, but I have to confess that I do DIY for the “result”. Let me change that last sentence. I used to do DIY for the “result”. I’ve just about weaned myself off DIY. I’ve pretty much given all my tools away through Freecycle, I intend to DIY no more, well, not much more. For me, it’s been a slow process for me to come to the realisation that it’s simply not a good use of my time. I began to realise that while I’m faffing round doing something that I’m not really enjoying, I’m missing out on doing something that I do enjoy! I began to realise that professionals can do the job in less than ½ the time that I can, and to a better standard – and have all the tools. I don’t expect you to change your habits overnight – there is masses of advertising, and TV channels devoted to showing you how to do DIY. Whilst the nation is keeping themselves "entertained” with small-scale DIY projects, the risk is that your “grand designs” for life are squeezed out. You’re focused on the minutiae rather than how you want to live your life. In your business you might look at outsourcing elements of your business, whether it’s the window cleaning or submitting your VAT returns, to someone with the skills tools or knowledge to do a better job than you will. You make an informed judgement as to what “makes sense” for you to do. Sadly many of us don’t take this wisdom into our personal lives and end up doing things that we’re not suited for. There are some GREAT local tradespeople who you can call upon to do these tasks - go on, give them a call - get a quote, you might be pleasantly surprised - and remember to think of whatelse you could be doing - it's not just about the cost! Trust me, it’s wasn’t easy for me to freecycle tools that I’ve invested in over the years, a belt sander, my electric plane, a box of multi-coloured and multi-size rawl plugs. I haven’t yet been able to part with my drill or jigsaw – and I still have a modest tool box. But I realise that all the time I have these items, the temptation is to “do it myself” and miss out on doing something I really want to do, and will thoroughly enjoy. Enjoyment is important for our health and well-being, and is becoming a factor in "success". So this bank holiday weekend, you’ll find me wandering round the woods, enjoying nature – I might then spend some time enjoying the garden. Find out more about The Secret Life of Positive Emotions, a free chapter from my first book: Raise Your Game.